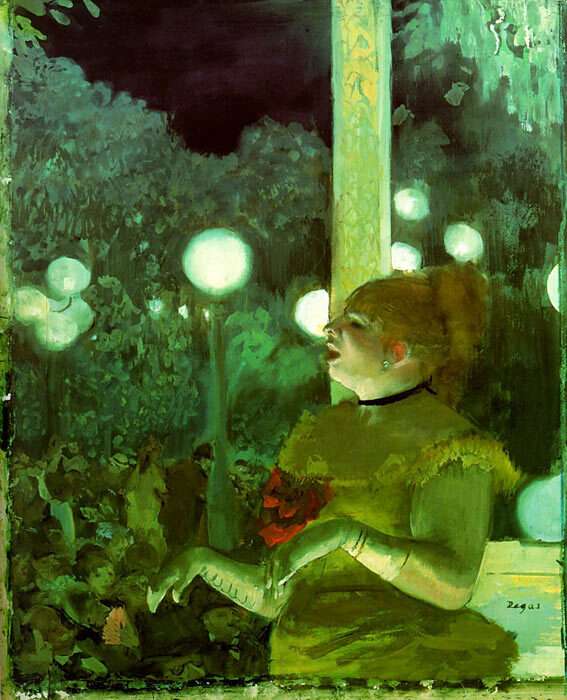 Degas loved the artificial world of the theatre. His paintings show Degas' shared interest in unusual light effects and surprising angles. As Degas said, ‘You give a real effect by using false means’. SPECIAL NOTE : The painter will make the reproduction as close to the original oil painting as possible. If you want your painting to alter from this likeness, please email us and " Song of the Dog, c.1876-1877 " will be reproduced according to your special requirements.